Cucumbers in vinegar marinade are essential of every chef’s kitchen. Perfect as add-on to salads, steak tartare, sandwiches and hot dogs. They are an important ingredient in sauces for meats. 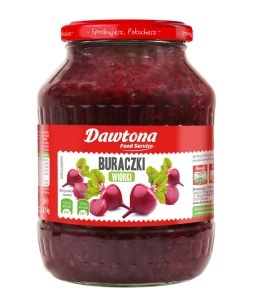 Product available in 4,1 kg jars. Tomato paste is a pantry staple. 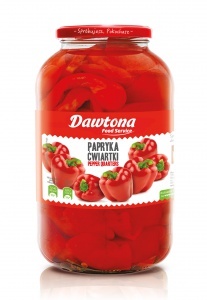 Indispensible ingredient of many dishes and sauces, tomato soups, stuffed cabbage rolls or baked beans. 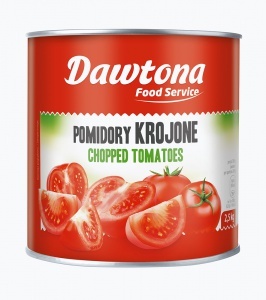 Dawtona’s tomato paste is made entirely from ripe and plump tomatoes; it does not contain any additional ingredients. 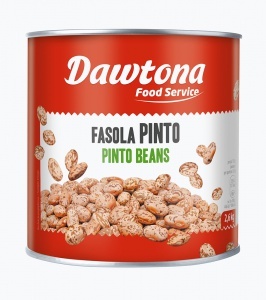 Product available in 4,5 kg cans. Crispy, slightly sweet corn is a staple in every kitchen. Classic Mexican dishes, like chili con carne, simply cannot do without it. 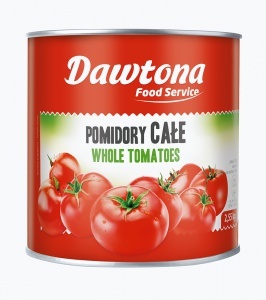 A perfect topping for pizzas, vegetable salads and pasta, as it gives any dish an appetizing appearance. Product available in 2,65 kg cans. One of the most versatile vegetables in the world. 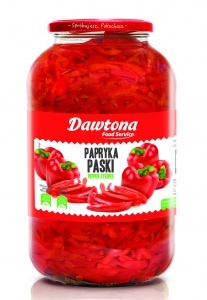 Juicy and delicate in flavor, it is a perfect addition to almost any salad or soup, as well as pasta and meat dishes. 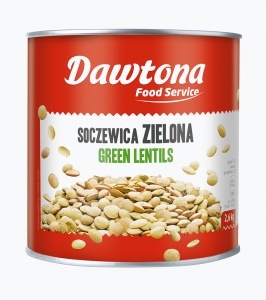 Product available in 2,49 kg cans. Juicy, ripe and peeled tomatoes are a staple in every kitchen. Ideal for preparing delicious soups, pasta casseroles and roasts. 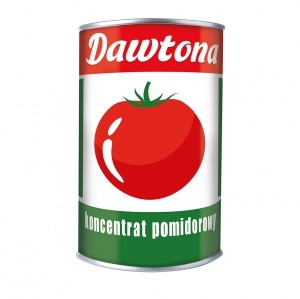 Product available in 2,55 kg cans. A classic pantry staple. Juicy and flavorful, diced tomatoes are irreplaceable in stews or pasta dishes. They are just as perfect in salads and other vegetable dishes. 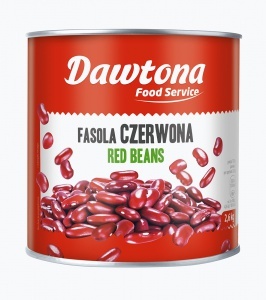 Product available in 2,5 kg cans. 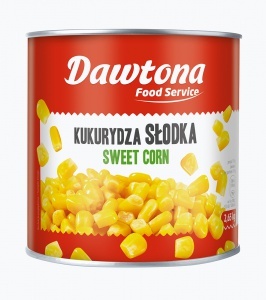 Indispensable in traditional Polish cuisine. 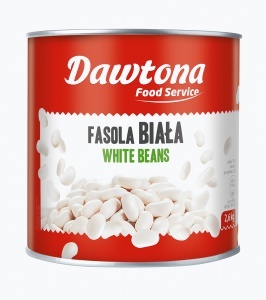 They are the perfect base for aromatic baked beans or bean soup. Product available in 2,6 kg cans. Red beans are a staple in Mexican and vegetarian cuisine. Delicious both hot and cold. Perfect in salads, soups and main dishes, for example: chilli con carne. Well-known and liked in Mexico for hundreds of years, their sweetish taste forms a delicious duet with herbs. Black beans are perfect for making soups and vegan pates. They enhance the appearance of every dish. Full of flavor and nutrition, they are an essential ingredient in many Mexican or Polish dishes. Their funky appearance makes them an excellent addition to soups and salads! Due to their exceptional nutritional properties, lentils lead the way in contemporary vegan cuisine. They are excellent in salads, soups, pies and many other dishes. Lentils not only taste great, they also provide your body with a real boost of energy! 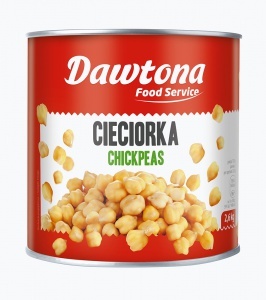 Chickpeas, otherwise known as garbanzo beans, are the true stars of Mediterranean cuisine. Served with tomato sauce, they are a perfect addition to seafood, especially mussels. They are also a popular dietary staple in the Middle East. Chickpeas served in the form of hummus are especially delicious with pita bread! Product available in 5,5 kg bulk. 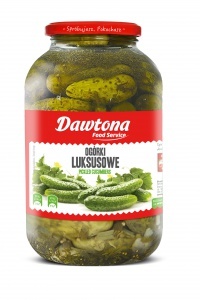 Traditional pickles marinated in water, vinegar and spices are a staple of Polish cuisine. They are a perfect ingredient of salads and sandwiches. 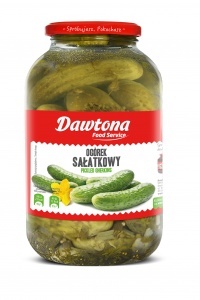 Aromatic and subtly sweet – pickles are popular in every household! A classic among vegetable preserves - immersed in an aromatic marinade with spices, pickled peppers are a goldmine of culinary inspiration. Fresh and flavorful, they are not only an excellent ingredient of salads, but also homemade pizza, lecso or stew. Beets are not only a delicious idea for a side salad, but also a unique source of vitamins and minerals. Thanks to their natural pigments, beets are known to boost the immune system and protect against numerous diseases. They are a worthy addition to any dinner menu as an excellent complement to meat! 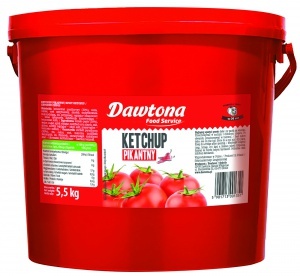 Product available in 1,6 kg jars.